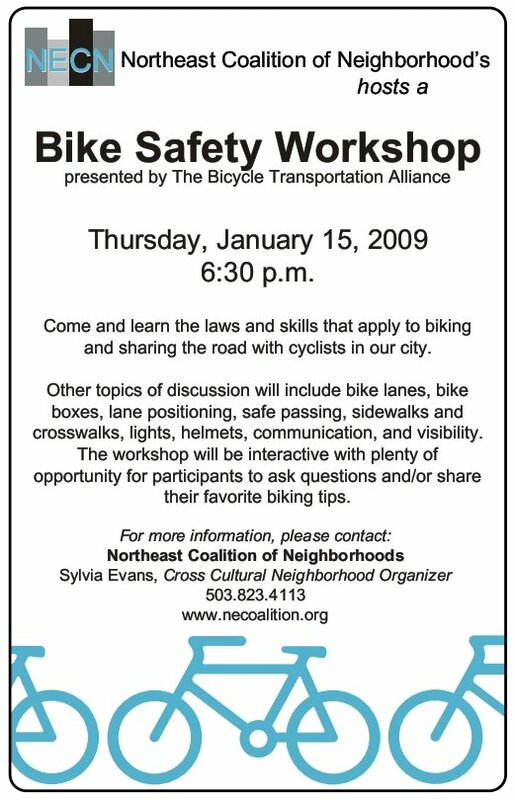 >The BTA and the NE Coalition of Neighborhoods is hosting a Bike Safety Workshop on Thursday the 15th. Click the image below for a larger version so you can read all about it. This entry was posted in Events, Transportation and tagged Bike Saftey, Bikes, BTA, NECN by Noah Brimhall. Bookmark the permalink.